Today we’re eating in London’s West End in swanky St James. The area was developed in the 17th century as a residential location for the British aristocracy. Now it’s home to fine clothing stores, chic art galleries, gentlemen’s clubs and beautiful terraces. And of course its share of top restaurants. It certainly exudes class and you can feel a general poshness in the air. Veneta is the latest in the fantastic Salt Yard stable which includes one of my favourites – its sister in Soho – Ember Yard. 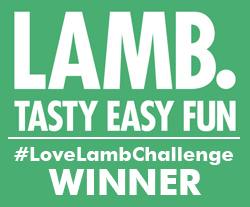 The elegant eatery is in the shiny new St James Place area and its menu is inspired by classic Venetian dishes. It has a real feel of glamour and plushness, the kind of restaurant that lifts your spirits as you walk in the door. You can just feel good things happen here! 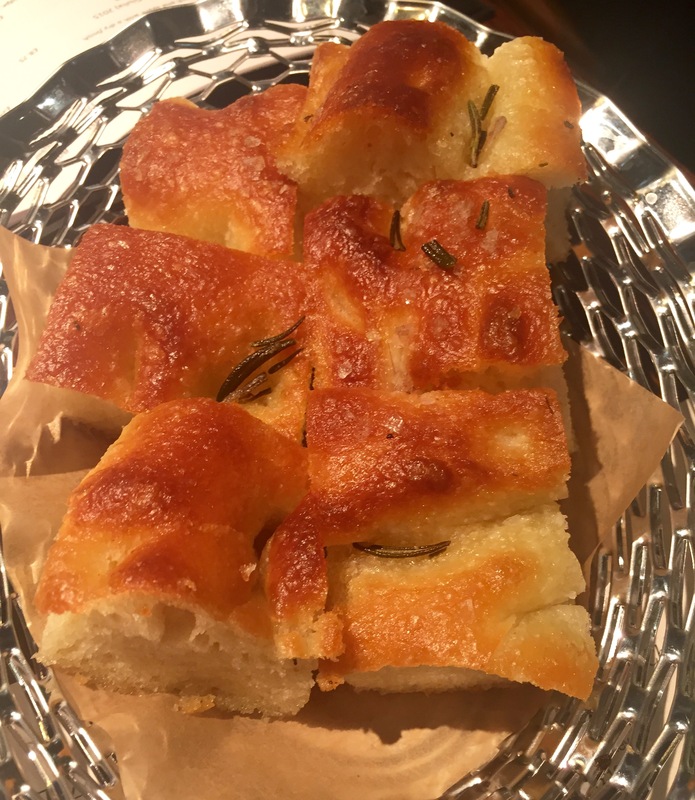 We started off with heavenly focaccia, topped with a dusting of crunchy salt and rosemary sprigs. 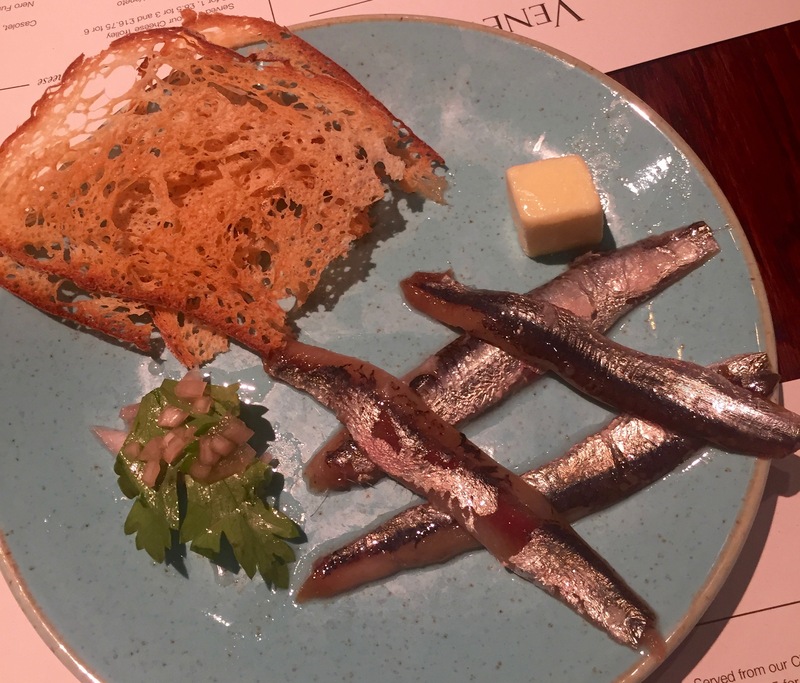 I’m a bit of an anchovy addict and these were tastily luscious, served simply with paper thin toast and butter. The perfect way to get the gastric juices going. 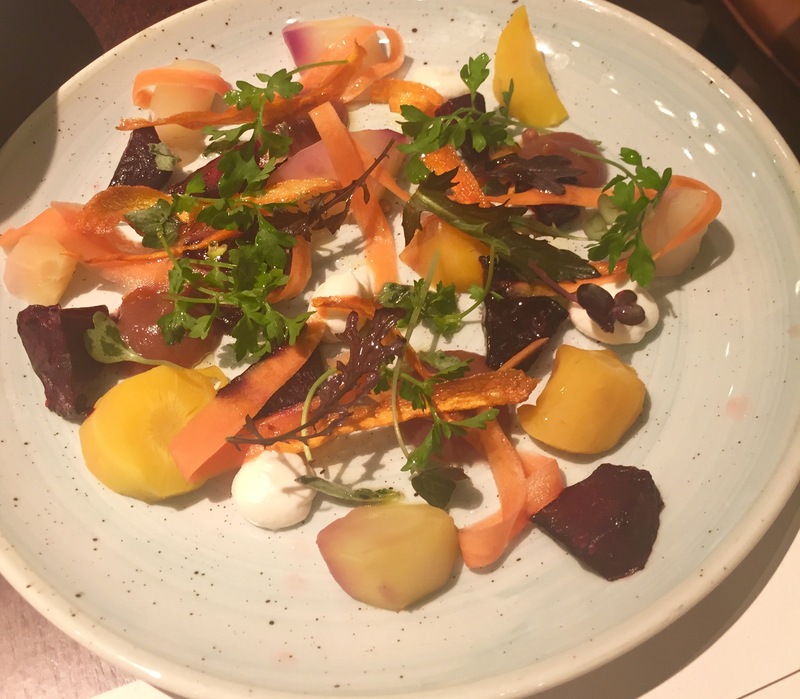 Autumn brings beetroot to many menus and this colourful seasonal salad was packed with flavour. Slivers of salt-baked carrots and beef were served with sheep’s ricotta, date puree and oregano. 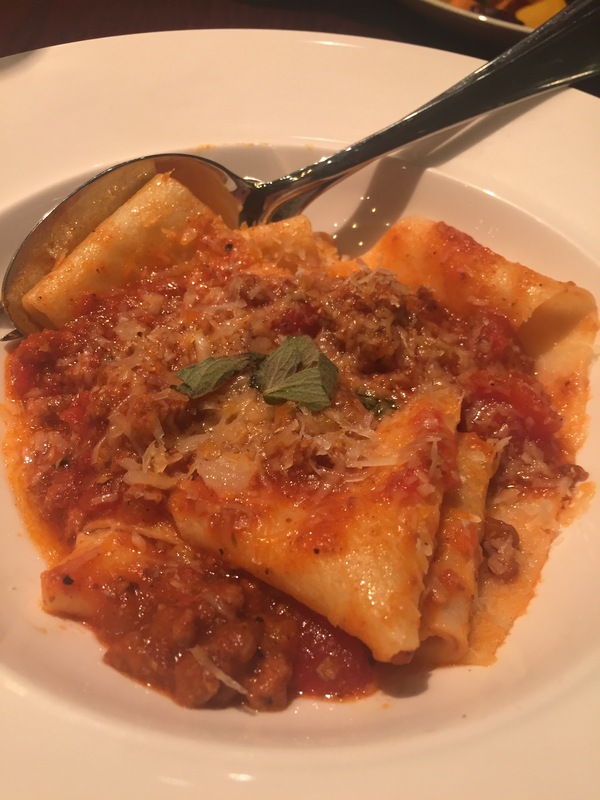 From the small plates section we chose this kid goat ragu with fresh pappardelle. Seems like goat is popping up on menus all around London Town and I must say I’m loving it. This ragu was in a class of its own, beautifully rich and silken, coating the wonderful fresh pasta. 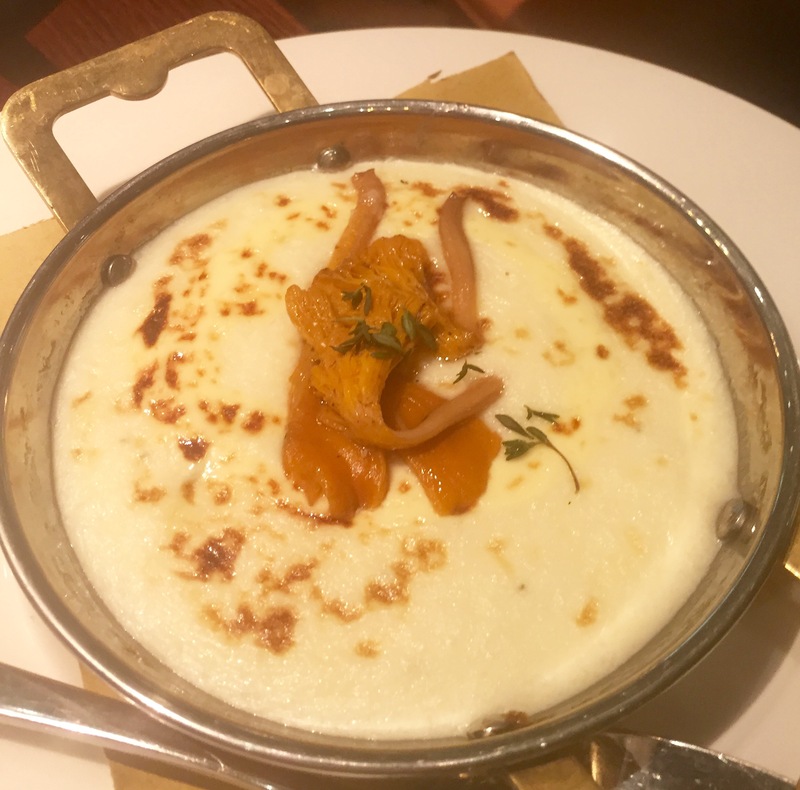 A bowl of polenta with parmesan cream and topped with earthy girolles from the vegetable section made the perfect accompaniment to the richness of the pork. 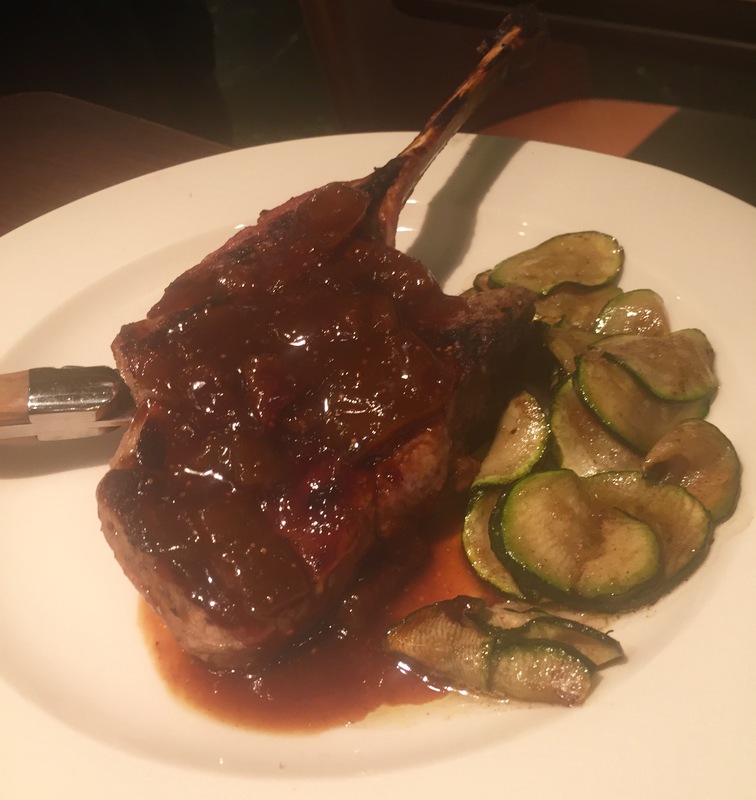 Our meaty choice was the charcoal grilled pork ribeye. The tastiest piece of pork I’ve had in a while, with that irresistible charred flavour and courgettes on the side. And then it was dessert time. I’m not much of a one for pudding but Italian sweets are not for resisting. 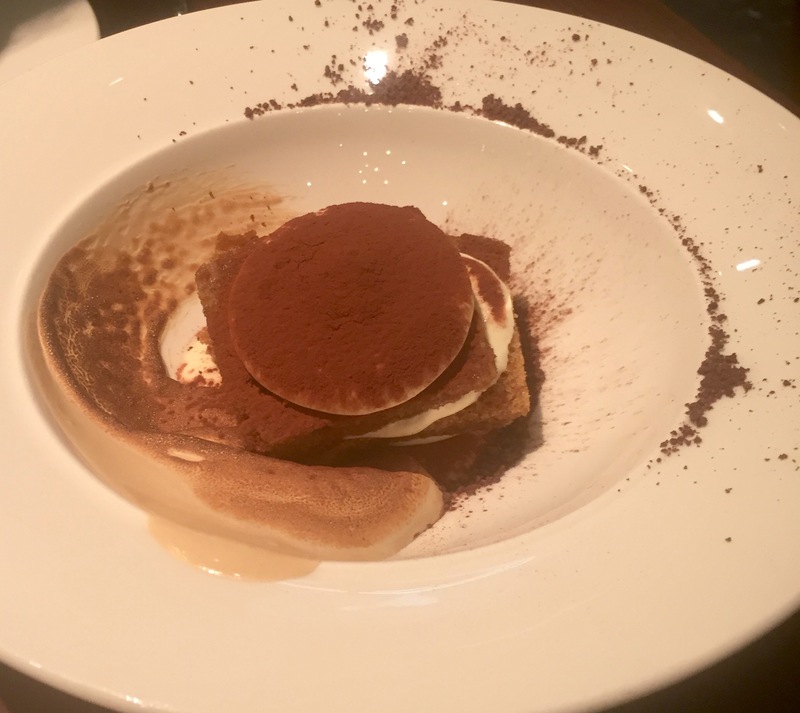 Their mini tiramisu tower was exquisite, I especially loved the coffee cream on the side. Our lunch came to £50 for two people. We opted to eat tapas-style mainly from their small plate section. There are also large plates on offer. Veneta is at 3 Norris Street, St James W1. It’s open from 7am Monday to Friday and 9am Saturday and Sunday for all-day dining (including breakfast).